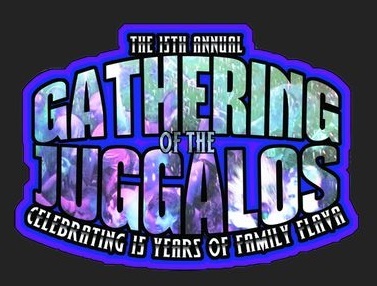 Psychopathic Records has released the infomercial for the 15th Annual Gathering of the Juggalos. You can view the infomercial below. This post will be UPDATED once we break down and sort out all of the information that has been revealed. All of the following information was posted on the official Gathering of the Juggalos site. We will continue to update this post as more information is posted. So be sure to keep checking back. Tech is gonna be disappointed is he doesn’t see enough of “his people” there. Twiztidkilla you may be onto something. What u think is gunna happen?..Like there gunna throw down on stage JCW style…I highly doubt it. Line Up this year is badass…. Hopefully I’m gonna go!… Any other Tulsa Juggalos goin? I wish Billy Milano & Violent J knew each other. I’d love to see M.O.D. at the Gathering for a set or Billy as a wrestling manager. Billy’s the man, reppin’ the NY!